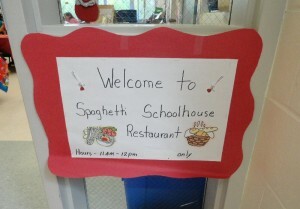 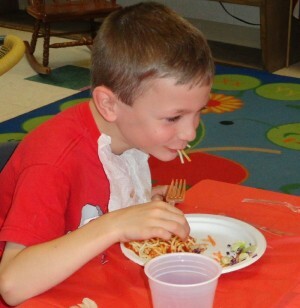 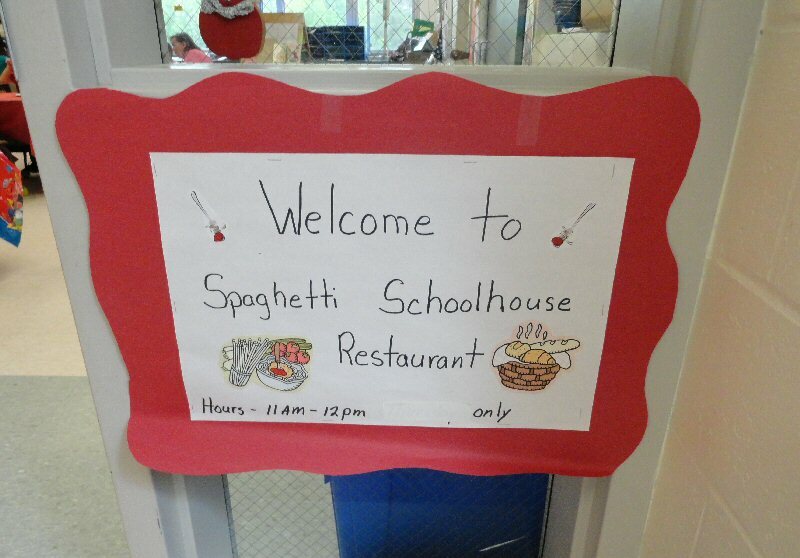 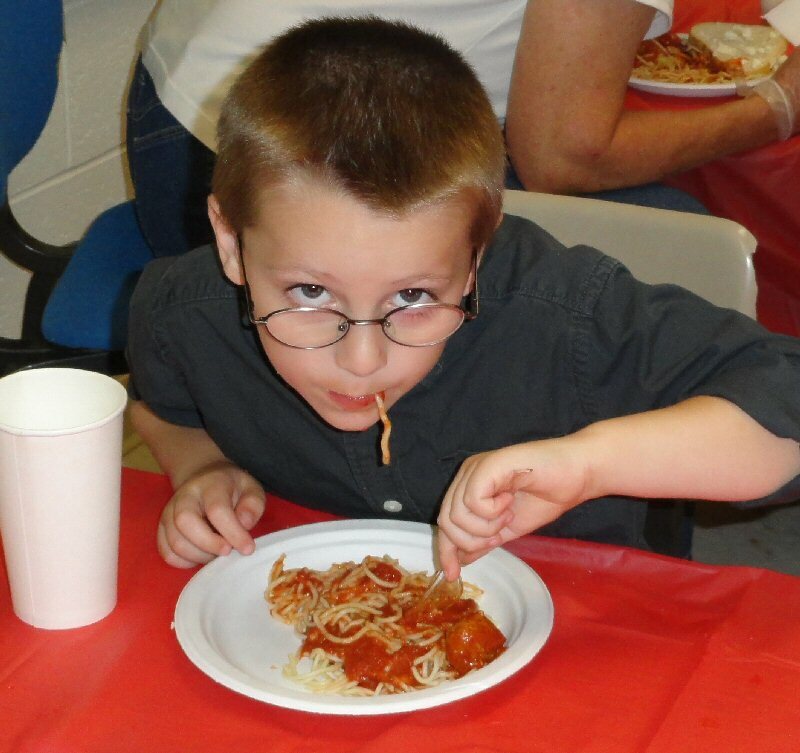 On June 13, Judy Rowe turned her Granby Elementary School first grade classroom into the Spaghetti Schoolhouse Restaurant. 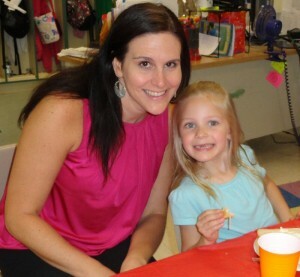 Staff members and parent volunteers acted as hosts and waiters and students enjoyed lunch and conversation. Students were taught and practiced their respectful table manners as part of their character education program, Positive Behavior Interventions and Supports. 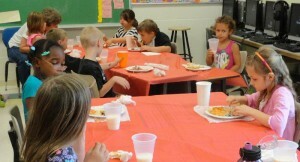 As a finale, students read poetry.